All the societal rules are different. The fear of unrequited love is the same. Will these two women find both love and freedom?Fiery Lady Elisandrine ‘Elise’ Falk doesn't want to follow conventions and marry the boring prince. Nessa Clay, an introverted farmer’s daughter wants to chase her dreams and leave her safe village.Calling to them is the dangerous city of Nightport, brimming with new innovations in clockwork and steam power.Circumstances bring Nessa and Elise together and different as they are, they find themselves magnetically drawn to each other. But will that magnetism be enough to make them overcome their insecurities?Furthermore, what secrets does Nightport hold? Who are those men searching for them? And does magic exist after all? With the help of some new friends, Elise and Nessa start to unravel the mysteries — and their feelings for one another. 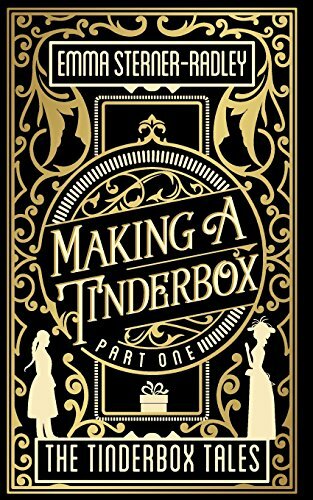 Steam towards love and adventure today, buy the standalone first part of The Tinderbox Tales – Making a Tinderbox, a gaslamp fantasy romance by Emma Sterner Radley.